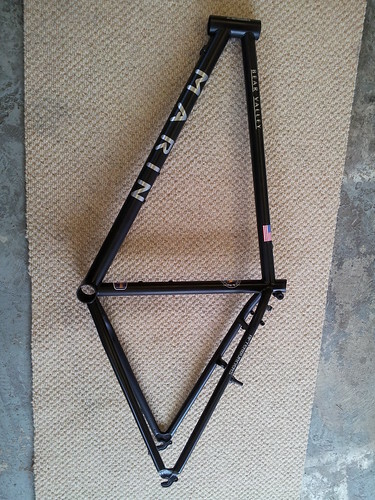 Restore of Marin Bear Valley 1992, although it will have a higher spec than the original. 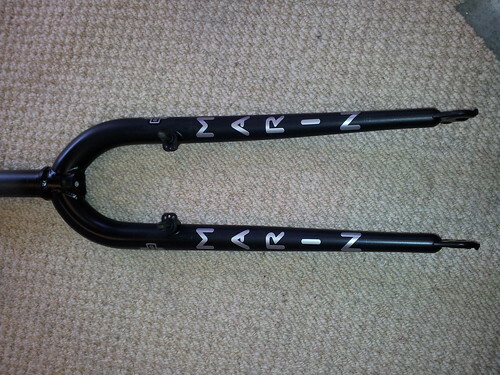 They are nicely made frames, wish my one fitted! Thanks. 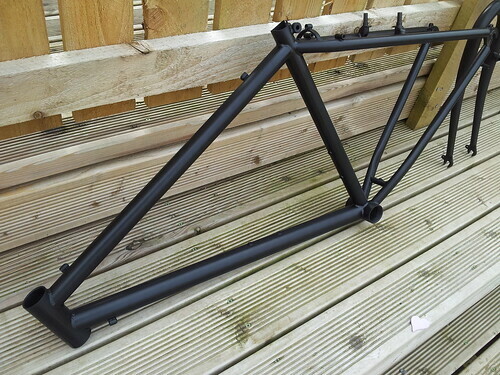 Its had 2 coats of matt lacquer, tomorrow the seat stays and chainstays will get gloss lacquer. Its looking great so far. Shouldn't the flag be on the drive side only? You are right! Had to check my one, I had not noticed this before. Never realised this... oh well mine has two flags! 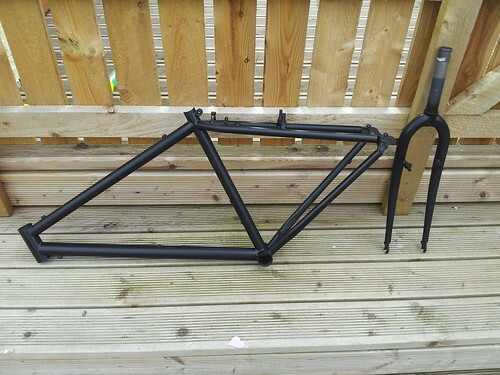 Hopefully get it built this week. 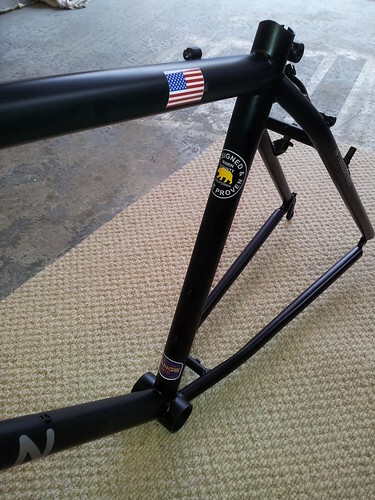 Just tell your bike buddies that you have a form of symmetry based OCD! Is the flag only ever on the drive side on all Marins? As far as i know bud.